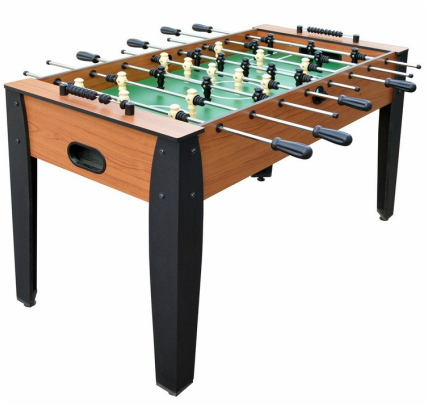 This is an affordable game table designed for recreational play. 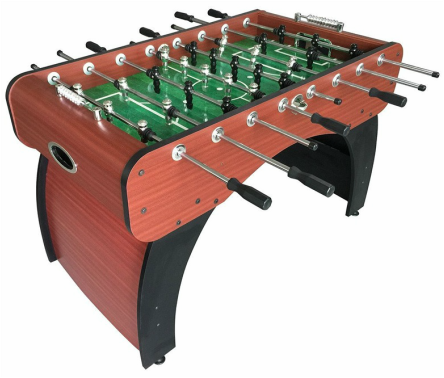 With mainly cheaper plastic parts and MDF wood, it makes a great table designed for kids rather than a tournament style table for professional players. With graphics on the inside and out of the table, it makes for a great looking table for your game room. Equipped with duel end ball returns, slide scoring systems, chrome steel rods, and rubber handles. This table is priced at around $135 US.